You have selected the School Membership (25 Seats) membership level. This School Membership buys 25 unique logins. After purchasing this package you will be given a code which can be passed on to your team members which will enable them to create their own login details with us with no additional cost. Each team member will then have their own login. To help with this we will send you a link that you can pass on to your colleagues. The price for membership is €700.00 per Year. 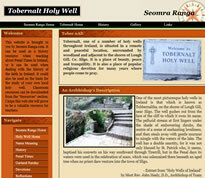 Some of the content uploaded to Seomra Ranga is available to be viewed by any person browsing the internet. However, only a person, who has agreed to the Membership Terms, is able to have full access to the site, including the ability to download resources. Once you purchase a membership subscription, you will be deemed to have agreed to the Membership Terms herein and a legally binding contract, incorporating those Membership Terms, will then exist between you and Seomra Ranga in relation to your use of the site. If you do not wish to agree to these Membership Terms, you should navigate away from this page and cancel plans to become a member. Resources mean products available for download on the site including, but not limited to, posters, flashcards, worksheets, presentations, games, activities. In these Membership Terms, a reference to “we” or “us” means Seomra Ranga and a reference to “you” or “your” means a Member. Seomra Ranga is not obliged to give reasons for any decision it makes to suspend, terminate or restrict your Membership or to reject your request to become a Member. Your Membership is strictly non-transferable. Once Membership is granted you will be able to access all areas of the site with use of the username and password you set up at the time you become a Member. You are responsible for each and every access or use of the site that occurs in conjunction with use of your username and password. Allowing a third party to access the site using your username and password will be deemed to be a breach of the Membership Terms and Conditions and your membership may be suspended or terminated without refund. You must notify Seomra Ranga via email (info@seomraranga.com) as soon as you become aware of any unauthorised use of your Member Account, username or password. You acknowledge and agree that you are liable for, and will indemnify Seomra Ranga, its related bodies corporate, affiliates, officers, directors, agents and employees against any and all claims made by a third party arising out of your access to, and use of, the site as a Member. Becoming a Member of Seomra Ranga gives the Member instant access to all of the resources on the site, currently running into the thousands. Resources available on the site consists of worksheets, handouts, flashcards, posters, Powerpoint presentations, certificates, quizzes, material “as Gaeilge”, resources for pupils with Special Educational Needs (SEN) and much more. Membership ensures that users gain instant access to new material and resources which are uploaded to the site on a regular basis. it does not warrant or make any representation regarding your access to, or the results of your access to, the site or any content in terms of correctness, accuracy, timeliness, completeness, reliability or otherwise. Under no circumstances (including but not limited to any act or omission on the part of Seomra Ranga) will Seomra Ranga or its affiliates be liable for any indirect, incidental, special and/or consequential damages or loss of profits whatsoever which result from any use or access of, or any inability to use or access, the site. the payment of the cost of having services supplied again. Seomra Ranga will usually be available 24 hours a day, seven days a week. interrupt or suspend access to the site due to essential upgrading and/or maintenance to the site. You agree that Seomra Ranga will not be liable to you for any loss that you may suffer as a result of any such interruption, suspension or alteration. When accessing the site (as a Member) and using the content and/or the services available on the site, you must also comply with any directions, instructions or protocols posted on the site from time to time. Membership fees, both individual Membership and School Membership, are outlined on the Membership page. All prices on the site are expressed in Euros. The Member is responsible for all costs of currency conversion from his or her preferred currency to the Euro. Seomra Ranga reserves the right to change the Membership fee without notice. Any new Membership fee will be applicable immediately for new Members and upon renewal for existing Members. When you wish to become a Member and use the site, you may be asked to provide certain personal information to us (Member Information). You promise that the Member Information you provide is true, accurate and complete. the intellectual property rights (if any) subsisting in the works described in paragraphs (1), (2), (3) and (4) above. Your use of the site does not grant to you any ownership or like interest in any content, code, data or resources you may access on or through the site or any intellectual property rights subsisting in any of those things. Seomra Ranga respects the intellectual property rights of others. Seomra Ranga requires that you do the same. your physical or valid electronic signature. On receipt of a Copyright Claim, Seomra Ranga will take the actions we consider necessary to manage the administration of the Copyright Claim. If you believe that an item or user content infringes any other type of intellectual property right (not copyright) please contact Seomra Ranga in a similar fashion. The logos and trade names displayed on the site are, unless otherwise stated, owned by Seomra Ranga. A Seomra Ranga Logo may not be used by you without the approval of its owner. Nothing contained on the site should be construed as granting, by implication, estoppel, or otherwise, any license or right to use any Logo/Trade Name displayed on the site without the written permission of its owner. 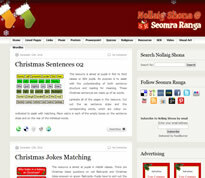 Seomra Ranga does not warrant or represent that your use of the site will be confidential. Seomra Ranga is not responsible for any harm that you or any person may suffer as a result of a breach of your confidentiality in respect of your use of the site. While Seomra Ranga has taken precautions to protect information that you transmit to the site over the internet (eg when taking out a membership), Seomra Ranga does not warrant the security of that information. Once Seomra Ranga receives your transmission, Seomra Ranga will take reasonable steps to preserve the security of such information. When you become a Member you will have a single account that is accessible by you through the site (Member Account). This account is non-transferable and may not be used by another person. A school may wish to purchase a school group account, details of which are contained on the Membership page. Payments made to Seomra Ranga for the purpose of becoming a Member are made either through Paypal or Stripe. When you purchase a Membership of Seomra Ranga, you acquire the right to gain full access to the site for the duration of one calendar year, after which time you have the option to renew your Membership of the site. If a refund has been assessed by us as due, this will be paid using the same manner of purchase (that is, if the Membership was purchased using a credit card via PayPal you will be refunded using Paypal). You agree and acknowledge that if you lodge a dispute with PayPal we are unable to make any refund until the PayPal dispute has been closed. not to download or use images hosted on the site on another web site, for any purpose, including, without limitation, posting such images on another site. Other than as expressly allowed in these Membership Terms, and unless otherwise indicated in these Membership Terms, you may not post, display, publish, copy, reproduce, distribute, transmit, modify, perform, broadcast, transfer, create derivative works from, sell or otherwise exploit any content, code, data or materials on or made available through the site. Seomra Ranga may, at its sole discretion, revise or change these Membership Terms (in whole or in part) or the content of the site from time to time and at any time without notice to you. Changes in the Membership Terms will be effective at the time notice of the change is posted by us on the site. It is your responsibility to check for these notices. Your continued use of the site and/or the content or services made available on or through the site after any changes to the Membership Terms are posted will be considered acceptance of those changes. Seomra Ranga believes that your actions may cause legal liability for you, our other Members or us. Should Seomra Ranga elect to suspend, terminate or restrict your Membership in any way, you may be prohibited from accessing the site temporarily or permanently. In either case, you must not apply for a new Member account. Seomra Ranga reserves the right, in its absolute discretion, to determine whether or not your use of the site or content or services available on the site complies with these Membership Terms.